The Exigo Elite Power Rack is the ultimate station for Olympic weight lifting while in the safety of a fully enclosed rack. This professional Olympic Rack is manufactured with 3.5mm heavy grade 100mm x 60mm steel uprights. 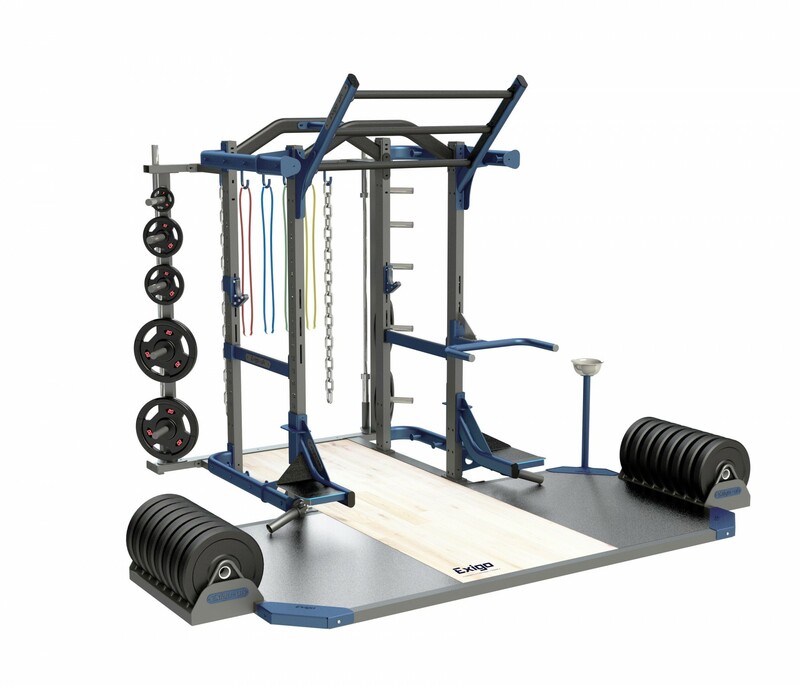 Base units are supplied with J Hooks, integrated Safety Spot Arms, Weight Horns, Band Pegs and a Multi Grip Chin Up Bar as standard for effective strength and power workouts. While having the ability to configure and customise this impressive unit to suit specific needs, this configuration is appropriate for elite level athletes and commercial gyms. Designed and manufactured in our UK factory the Elite Power Rack is constructed with heavy grade steel to battle the conditions of a busy commercial gym environment. Optional integrated lifting platform available - with or without bespoke branding. Available in 8ft and 9ft heights. The ultimate station for Olympic weight lifting Manufactured with 3.5mm heavy grade 100mm x 60mm steel uprights Base units are supplied with J Hooks, integrated Safety Spot Arms, Weight Horns, Band Pegs and a Multi Grip Chin Up Bar as standard Configure this impressive unit to suit specific needs Appropriate for elite level athletes and commercial gyms Constructed to battle the conditions of a busy commercial gym environment Optional integrated lifting platform available – with or without bespoke branding Available in 8ft and 9ft heights Designed and manufactured in our UK factory.